Fox News' legal troubles grew even larger Tuesday, with new plaintiffs, including an anchor, joining a suit alleging racial discrimination and harassment at the network. The suit is now headlined by Kelly Wright, a black reporter and anchor who has been with Fox News since 2003. Wright claims that he "has been effectively sidelined and asked to perform the role of a 'Jim Crow' -- the racist caricature of a Black entertainer." Wright's allegations involve, among others, recently fired Fox News host Bill O'Reilly and current network co-president Bill Shine. The suit claims that Wright was shunned from O'Reilly's now-canceled program, "The O'Reilly Factor," and that Shine "has demonstrated an obsession with race when it comes to discussions with Mr. Wright, including regularly asking him, 'how do Black people react to you' and 'how do you think White viewers look at you?'" In one alleged example, Wright claims that he was rebuffed in his efforts to show a series of positive stories about the African-American community on the "Factor" because, according to the complaint, "it showed Blacks in 'too positive' a light." The litigation began last month, when two black women filed a lawsuit saying they faced "top-down racial harassment" from Judith Slater, Fox's now-former comptroller. The two plaintiffs, Tichaona Brown and Tabrese Wright, accused Slater of making a number of racially insensitive remarks. "These are meritless and frivolous lawsuits and all claims of racial discrimination against Ms. Slater are completely false. We have yet to see the alleged additions to the original lawsuit. Given how outrageous and offensive these suits are, it's incomprehensible to imagine how anyone has joined or would join these legal actions," Catherine M. Foti, an attorney for Slater, said in a statement. Fox said that it fired Slater on February 28, upon learning of the allegations. Attorneys for the 13 plaintiffs say Fox's assertion that it acted swiftly is "completely false." A separate complaint filed Tuesday on behalf of Adasa Blanco, a former senior disbursement coordinator in Fox News' accounts payable department, alleges that "Slater was terminated because Fox knew this would become a public matter and wanted to salvage its reputation." Blanco, who claims her repeated complaints about Slater's behavior were ignored, is seeking redress for "substantial monetary damages and severe mental anguish and emotional distress." 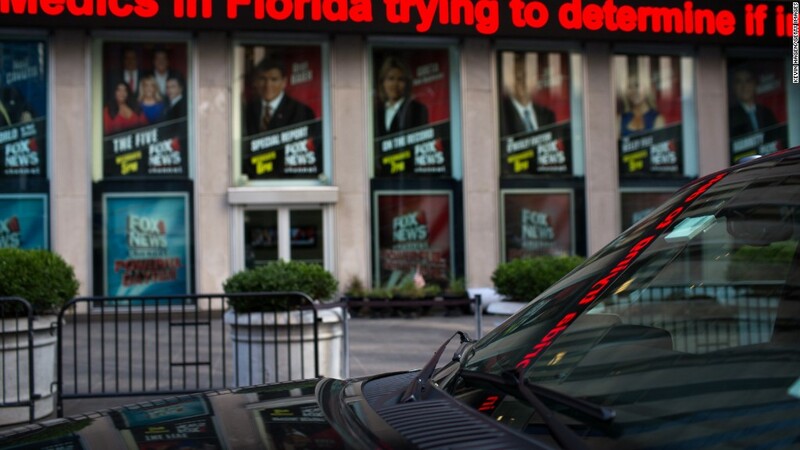 The suit targets Fox News' top lawyer, Dianne Brandi. "FOX News and Dianne Brandi vehemently deny the race discrimination claims in both lawsuits," a Fox News spokesperson said. "They are copycat complaints of the original one filed last month. We will vigorously defend these cases." The complaints filed Tuesday also included allegations from Musfiq Rahman, described in the court document as "a dark-skinned Bangladeshi" who previously worked in Fox's payroll department. Rahman, the complaint asserts, "suffered unconscionable and unrelenting race discrimination," including an awkward encounter in 2014 with former Fox News chairman Roger Ailes. According to the complaint, Rahman mistakenly entered Ailes's office on the second floor. "The fallout for Mr. Rahman's 'mistake' was swift and severe," the complaint says. "Ailes was furious and his paranoia about being attacked came to the forefront. That same day, Ailes ordered that a wall be constructed immediately in his personal office to act as a barrier to entry." It goes on to say that, the following day, Rahman and "a number of Black employees in the Accounts Receivable and Accounts Payable Departments, had their security passes to the second floor revoked." Tuesday's filings represent a continuation of what has been a nightmarish month for Fox News and its parent company, 21st Century Fox. O'Reilly, long the top-rated host in cable news, was ousted last week following a New York Times report detailing settlements paid to five women who had accused him of sexual harassment or verbal abuse. O'Reilly has denied the merits of all the claims against him. The revelations of O'Reilly's settlements came nine months after Ailes was forced out of Fox amid sexual harassment allegations against him. Ailes has vigorously denied the allegations. Douglas Wigdor and Jeanne Christensen, the attorneys representing all 13 plaintiffs, said in a statement Tuesday that 21st Century Fox "has been operating as if it should be called 18th Century Fox." "We sincerely hope the filing of this race class action wakes 21st Century Fox from its slumbers and inspires the Company to take a conciliatory and appropriate approach to remedy its wrongs," the attorneys said.